Copy Original Movie from Disc to Your Computer. | Kanishk's Technical Blog. Copy Original Movie from Disc to Your Computer. We All Have some Movie Disc that we don't want to Loose.But what if your Whole CD Collection gets lost during your Home Shifting? In many conditions,your Collection may get lost of damaged.For this Problem,I have come up with the idea of saving your Movies from your CDs/DVDs to your Computer. And guess what? This doesn't requires any special software to do it.You will do it on your own. NOTE: I am sharing this tutorial for the users to save the movies on their computers for their personal purpose only.This tutorial is only for the users to save their Movies on their Computers in case of Lost.I won't be held responsible in anyway if this method is used for a Crime like Piracy.I myself do not encourage Piracy in anyway. I'll be using a VCD disc for this tutorial. 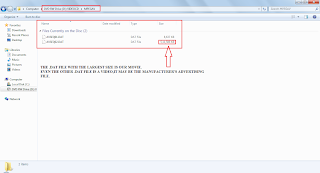 Open the Contents of the Disc by using the Windows Explorer. Note: The File names may Vary according to your VCD Manufacturer or may not. 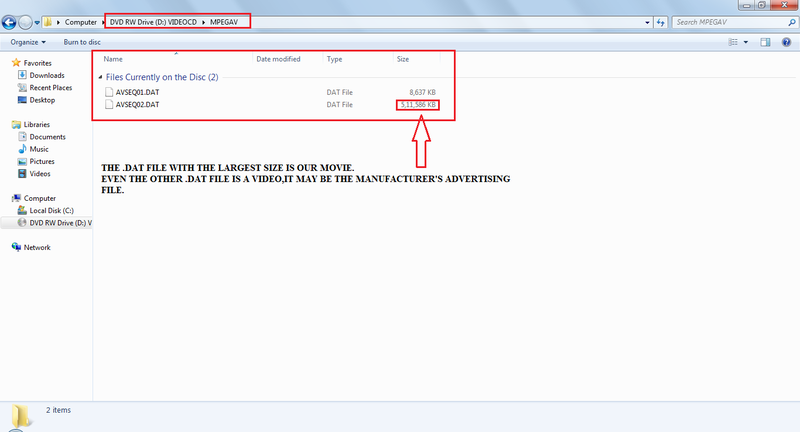 Note: But the File Name MPEGAV may not be different.Here the MPEGAV folder is the folder in which the movie is stored. Open the MPEGAV Folder and you'll see some Files.But wait,There is no Video File. Only Files with a .DAT extension.Here is the Real Trick. The .DAT file with the Largest Size is your Movie.Copy it to your Computer,I recommend Copying it to the My Documents and from there shift it into a new folder.After Copying the File will come to your desired destination. Now,The last task is to change the .DAT extension to .MPG.Doing this change will convert your .DAT file into Video. Now,Right Click the .DAT file and Select the RENAME Option and When you do so you'll see that only the name of the .DAT file is highlighted and not the extension.Now,Go to the Extension and delete the .DAT from it and add .MPG. "IF YOU CHANGE A FILE NAME EXTENSION, THE FILE MIGHT BECOME UN-USEABLE. ARE YOU SURE YOU WANT TO CHANGE IT?" With a YES and NO option. Just Don't worry,Nothing would happen,Just Click the Yes Button. After You click the YES button,Just see that .DAT file turning into a Video. Please do not use this information for illegal purposes like Piracy,Piracy is strictly prohibited. NOTE: I'll Not be held responsible in anyway if this method is used to attain criminal objectives like Piracy. COMMENT BELOW FOR PROBLEMS AND DOUBTS. i just hav 1 query that some of the discs shows like 0 bytes free of 0 bytes when inserted and contains only file having too less memory of abt 4-5 kb bt can play a big video or audio file..
can we take that file frm the disc to our computer ?? 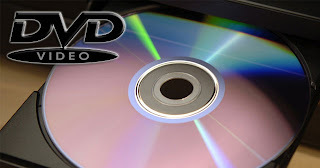 Sumit, The Discs are Specially Made for that Single Movie so that no one can add Extra Files to it and 0 Bytes are left on the disc.And,the files in it are custom made and carry out the operation of Autorun.So that whenever the Disc is inserted into the Disc Drive,if autorun is enabled in your System,these small files having small size of 4/5 KBs work in the background and the movie automatically starts playing. And Yes,you can Transfer those files from the Disc to your System,But thoses files will be of no use to you because Your stored files only open when its done manually.Therefore, I gave you the trick to copy only useful files from your computer. I hope this fulfills your Query.